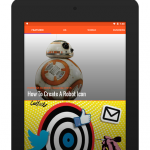 * World’s largest digital magazine app with 7,500+ magazines! 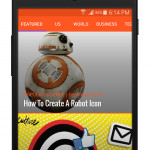 * Read unlimited magazines and premium articles! 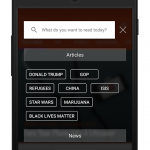 * Voted the #1 reading experience by both readers and top publishers from all over the world! Magzter introduces “The Reading Destination” – Magazine reading as you’ve never experienced it before! 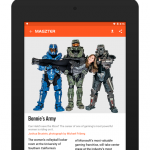 We’re choosing the best articles from our thousands of magazines and curating them for you in a beautiful reading experience optimized for Android phones and tablets. 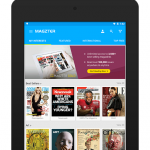 You can also enjoy reading 7,500+ magazines from all over the world cover-to-cover – and get unlimited reading with our Magzter GOLD subscription plan. What do you want to read today? 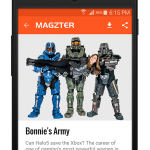 A single search for any topic will bring you related magazines as well as recommended articles from Magzter. 1. 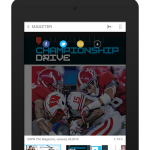 Voted the #1 reading experience by both readers and top publishers from all over the world! 2. 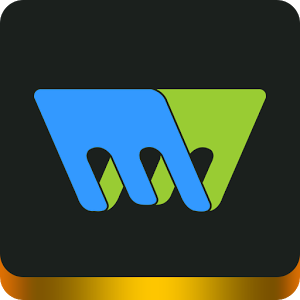 The first and only service to create playlists of articles across your interests, formatted beautifully for both Android phones and tablets! 3. 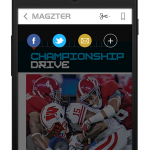 Magzter caters to every interest imaginable, whether it’s news, politics, sports, finance, hobbies, cooking, biking, golfing, gardening, health, music, movies, travel, gadgets, fashion, education, photography, automobiles… just to name a few! 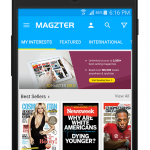 The Magzter Digital Newsstand lets you subscribe to any of your favorite magazines or purchase single issues, and with our popular Magzter GOLD subscription plan you can get unlimited access to more than 3,000 magazines! Read as many current or past issues as you like for just one low monthly price, and our Family Sharing feature allows you to share your Magzter GOLD subscription with up to 4 family members! Magzter features thousands of popular titles from your country and international favorites including People, Vogue, Sports Illustrated, WIRED, Time, GQ, Cosmopolitan, Forbes, National Geographic, Maxim, Esquire, OK!, Elle, Black Enterprise, Men’s Health, Men’s Fitness, Runner’s World, Popular Science, Stuff, Top Gear, Lonely Planet, TimeOut and many more. – Clipping, an exciting and fun feature that lets you “clip” any section of a magazine page and save it, share it with your friends or post it to your favorite social networks!